It was only when I arrived in the UK that I became politically active. The first step was handing out anti-BNP leaflets for Unite Against Fascism outside Brixton tube station. It was the 2008 London Assembly elections and it was part of the campaign to stop the BNP from winning an assembly seat. I’d never been involved in political activity before that and like a lot of people wanted to stay away from anything involving politicians. But I felt this had to be done. Racist and fascist parties need to be kept out of our public life. The fact that the BNP is now a spent force has much to do with the great work that has been carried out by organisations like Unite Against Fascism, Searchlight and Hope Not Hate over the years. Their campaigns have highlighted the real nature of the BNP to a British electorate that is overwhelmingly not racist and strongly anti-fascist. This work needs to continue as recent action against the South East Alliance demonstrates. 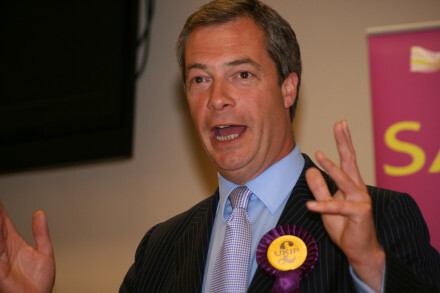 Despite having significant policy overlap with BNP policy in the past UKIP is now in the process of developing a platform that is non-racist but in favour of stronger immigration controls. Despite containing some nasty stuff this is a platform that will eat into Labour’s vote in many constituencies that we have often thought of as ‘safe Labour seats’. The most worrying aspect of this is that Labour appears to be in the process of a messy divorce from its traditional heartlands. Faffing around in Clacton-on -Sea and misrepresenting the UKIP threat isn’t going to help anyone, not least the people of this country who need a Labour victory in 2015. There are other ways to respond to the concerns UKIP are taking advantage of. Take for instance the GMB’s recent call for Labour to advocate for Fair Movement of people in Europe. This is a position that has developed in response to its members concerns about the impact free movement of labour in Europe is having on wages and conditions. Labour needs to stem the flow of voters leaving the party for UKIP. Crucial to this is understanding the concerns people have, and addressing them, and ensuring that we have the right candidates in place to get the message across. The GMB has actively listened to what is concerning its membership and is looking for real solutions. Labour’s policy review, led by Jon Cruddas, is doing this more widely at the moment. This is how we deal with UKIP, not be pretending they are something they aren’t.